The faster the speed of introduction of new technologies, the faster aging is the technique that was applicable yesterday. This applies to computer technology. There are several options on where to donate a used computer. Option 1. Selling computer. Let the computer old, but often it is a demand. This demand is due to the fact that the hardware inside the system unit may not be applicable for one year. This is especially true of power supplies and hard drives. What can we say about the case, which may be ten years. All this makes the owners of used computers to put them up for sale. These computers will probably be disassembled for parts. Another thing - peripherals (monitor, keyboard, mouse) that to sell with it very hard. Option 2. The computer is under warranty. If the warranty period of the purchased computer has not expired, it is possible to try to put into store where it was purchased. According to the law on consumer protection passed the item must be returned the entire amount spent on the purchase of your computer. Option 3. Selling computer for parts. If the owner of the computer have sufficient skill for its Assembly and analysis, he can sell it in parts. It is less effective than selling the computer whole. This is due to the fact that some computer hardware are subject to greater wear than others, both external and internal. For example, CD/DVD-Rom, which spoils very quickly. The same applies to mice, keyboards, monitors (especially the LCD). Option 4. Passing the computer to a repair shop. Most private repair shops are happy to buy used computers from their owners because they often face a shortage of spare parts. Only minus is the fact that often the price for his redemption and is extremely extremely small. So the way to get rid of your old computer is applicable only in the most extreme case. Option 5. The computer as a gift. If the computer is in working condition, why not give it to your friends or relatives, for which no principled age of the used equipment. 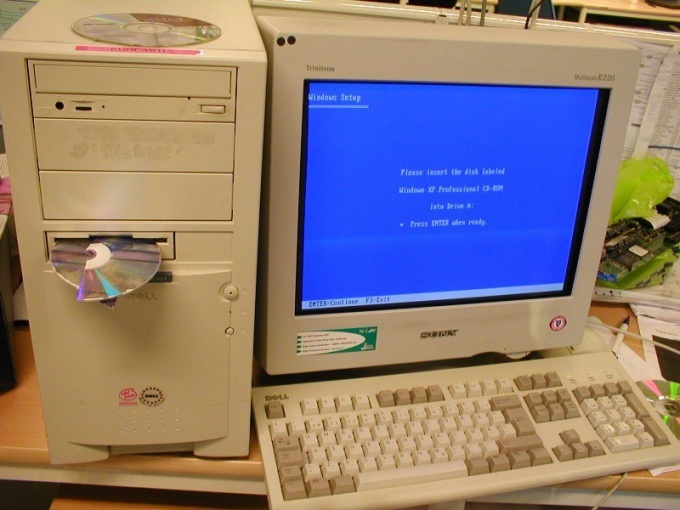 The old computer will be useful in case if the person is poorly acquainted with the basic principles of interaction with personal computers. Then the computer is not bad to give into the hands of an inexperienced user.